Could you please tell me what the depth of the main compartment is? BEST ANSWER: Measuring with the sides as orthogonal as possible, it's 18" tall x 12" wide x 5 3/8" deep. The padding for the laptop sleeve takes up almost 1/4" of the depth. Since it's soft-sided, something wider or deeper will fit, if the other dimension is somewhat less than what I measured. It’s about 5 1/2” at the top seam from the front to the back of the main compartment. 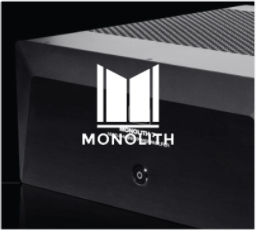 How big of a laptop can this hold? Did you bother to read the product description? Do the zippers come with lock loops? BEST ANSWER: Thank you for your inquiry. 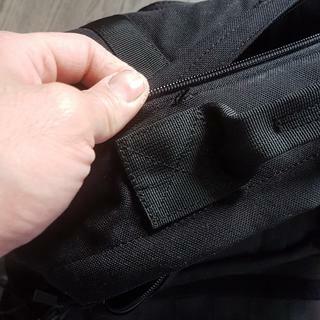 The zippers do not come with lock loops. What is the water resistance rating for this item? BEST ANSWER: This backpack does not have an IP rating; however, it does have a water-repellent coating that help with light rain or spills. If anything like Cordura of old, it's really good in the rain, especially with the "waterproof" coating. On a bicycle trip with some old Cordura packs, it rained countless times and never a drop of water inside the packs. For this backpack, I'd say a better term is water "repellent". However, it's always best to prepare for the worst, so a good pack cover for long term rain exposure is recommended. I don't believe there is a water resistance "rating" for packs, as opposed to electronics (which sometimes have an IP rating). No pack of this sort is completely waterproof, so dunking underwater is not a good idea. For added water repellency, it can't hurt to use a good quality fabric water repellent spray (best out there is 303 fabric protector, check Google for prices). Could I fit a DSLR camera in this bag with a couple lenses? BEST ANSWER: Thank you for your inquiry. 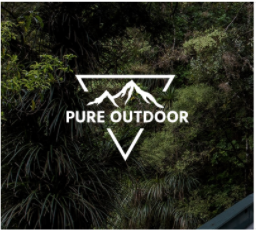 Yes you can fit a DSLR Camera with a couple of lenses in the Pure Outdoor 32L Survival Tactical Backpack. But I would Encourage you to consider our DSLR Travel Blogger Backpack (PID 13610). 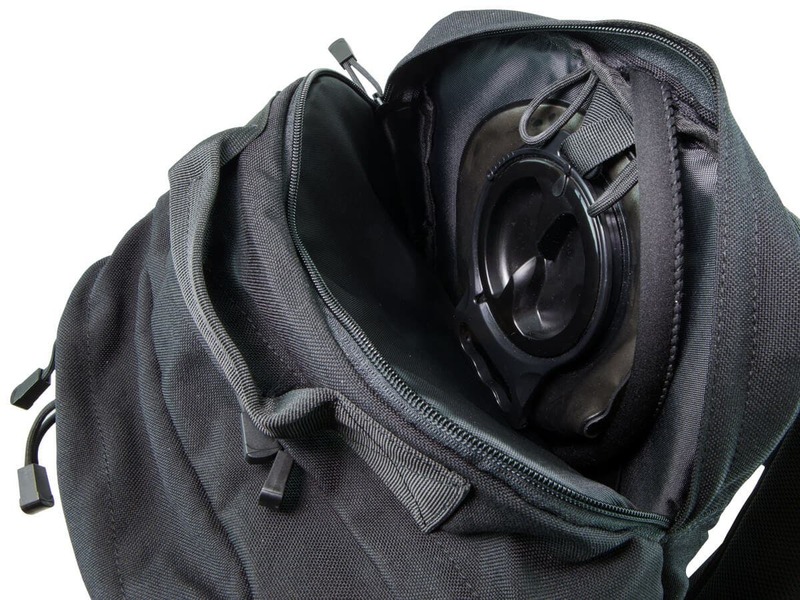 This bag offers additional padding and storage for a DSLR and lenses. What size laptop will it hold? BEST ANSWER: Thank you for your inquiry. 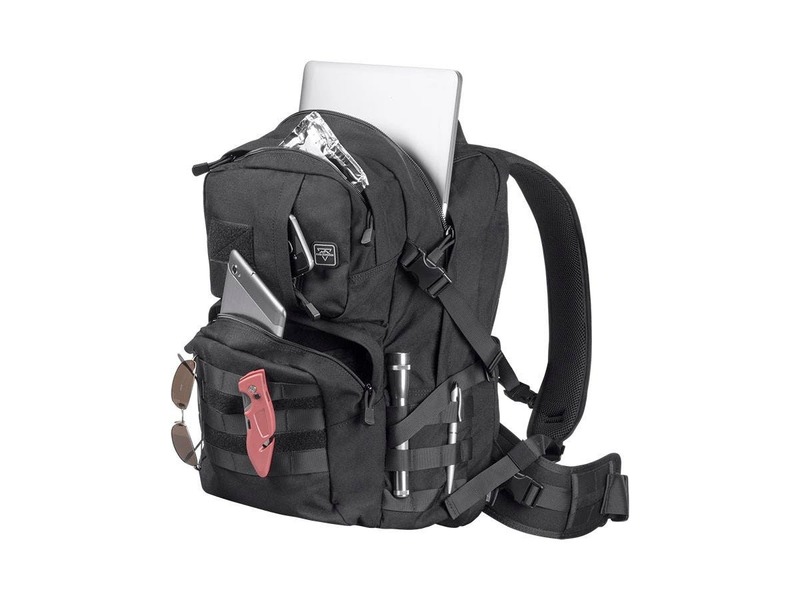 The Pure Outdoor 32L Survival Tactical Backpack can fit a 15.6 laptop in the laptop sleeve, and it has also successfully held a 17.3" laptop when not using the laptop sleeve. 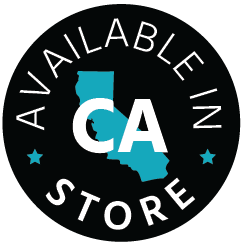 If you have any further questions, please do not hesitate to utilize our support teams. BEST ANSWER: if you mean the front-to-back depth, that depends on how much you stuff into it. It is about 6 inches empty and could be crushed even flatter, and about 8 to 10 inches or more when packed full. 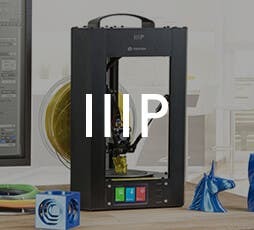 Does this come with a water reservoir? BEST ANSWER: The description says that the water reservoir can be added .. there are three sizes available so you can pick the one you want. 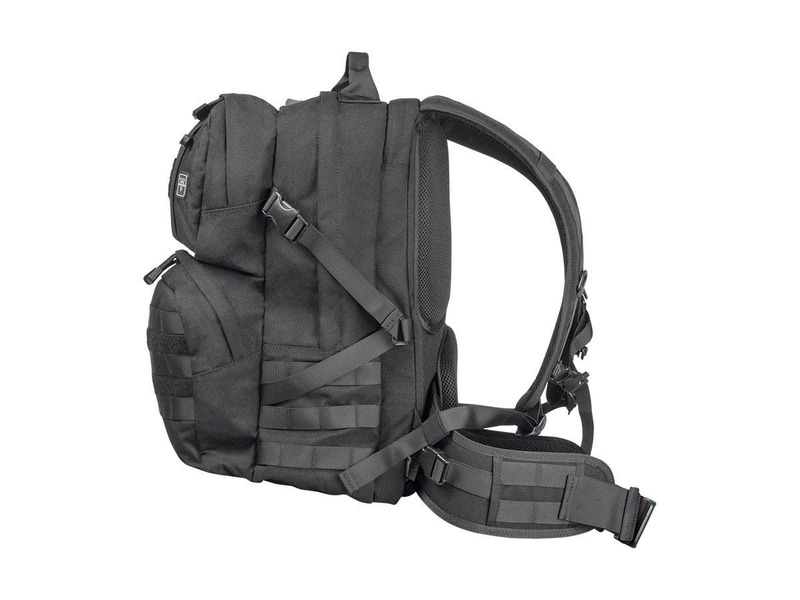 does Product # 18790, Pure Outdoor 32L Survival Tactical Backpack, conform to airline hand carry size? Airlines with no issue as carry on. Is this pack a suitable size to be used for carry on luggage? What is the torso adjustment range of this pack? Could you please tell me the depth dimension of just the large compartment? What is the smallest waist size the belt on this pack will fit properly? What are the dimensions? Could I take this on a plane as a "personal item" to stow under the seat? very sturdy backpack, Wish it had an outside pocket for a waterbottle. Great back pack! Very strong and light weight. 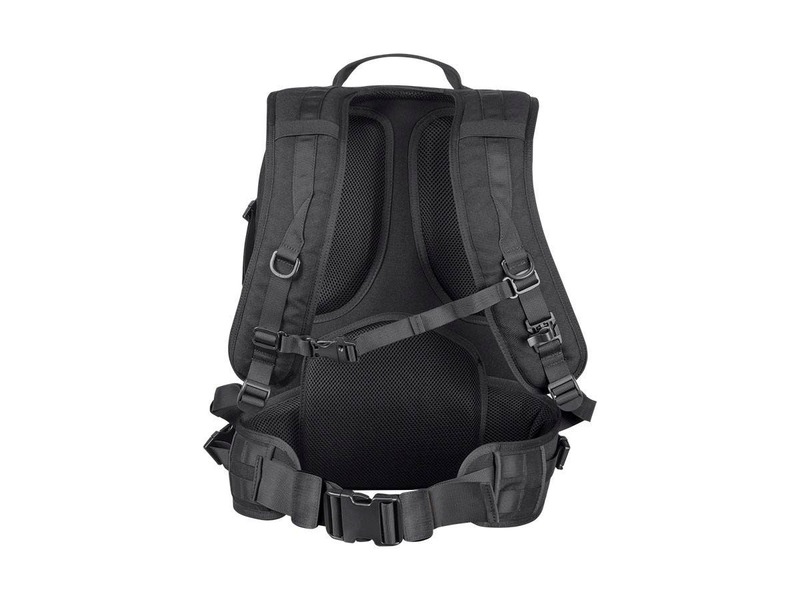 I like this back pack, it has all the compartments I need and I like that the waist belt can be removed. The only issue I may have is that the material is quite stiff but I assume it will loosen up as I use it. Great bag for the price. 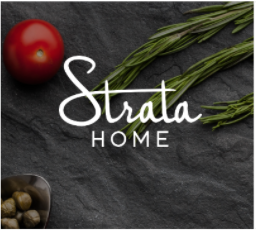 Solid construction, features, compartments and design. 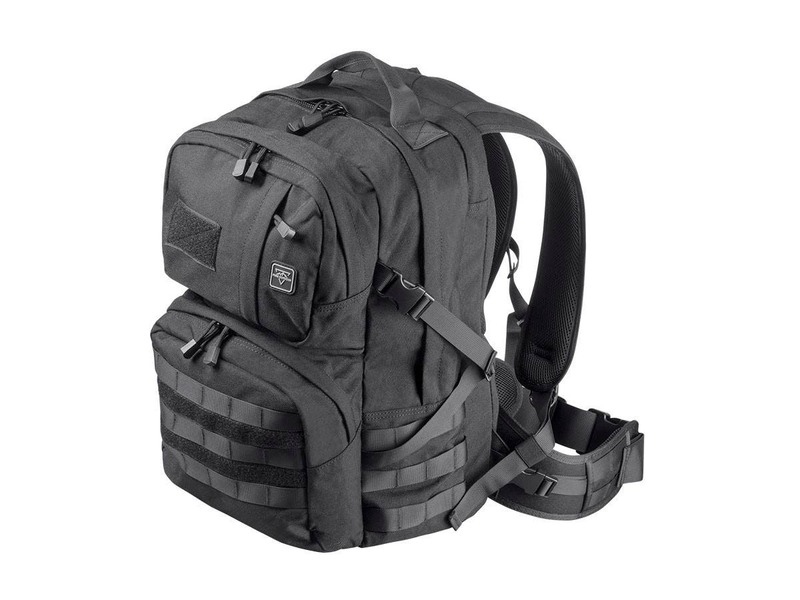 It shouldn’t be confused with a GoRuck (in price or quality), but for $39 it’s a great value. I use this as my work bag. Plenty of extra room with proper strap adjustments for proper fit. Extra compartments helps me transport laptop, paperwork and cables. Use the backpack this past weekend for a trip. Construction and quality is excellent. Plenty of room. Very good value. Bought the pack in Feb. First use is on a trip in April. Noticed fabric separation at the top grab handle and one of the zipper pulls fell off. It's not a cheap backpack. Would have expected it to lasted longer than that. 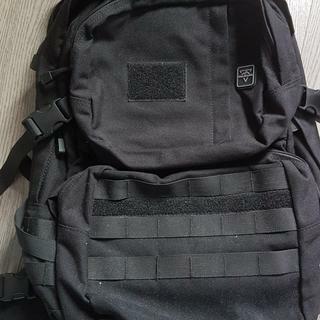 Quality construction, my wife wanted one in olive drab for her craft supplies to travel with after she tried to steal my backpack in black. I now have my tool pack back. 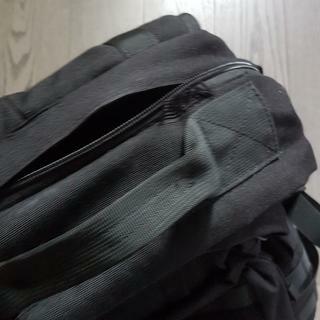 It is very spacious with lots of pockets for organizing content. I purchased it because my son and grands used one each for a week long vacation to South America. You can’t go wrong with it! A great go bag. It fits easy under flight seats and just about anywhere,plenty of compartments and very comfortable. It could have been designed that the zippers would travel a bit further to make it easier to load clothes neatly. The price was a big decision and Im very happy with this decision. Jerry H.